Are you looking for healthy and delicious food you can eat without feeling guilty when you're trying to lose weight on a diet? 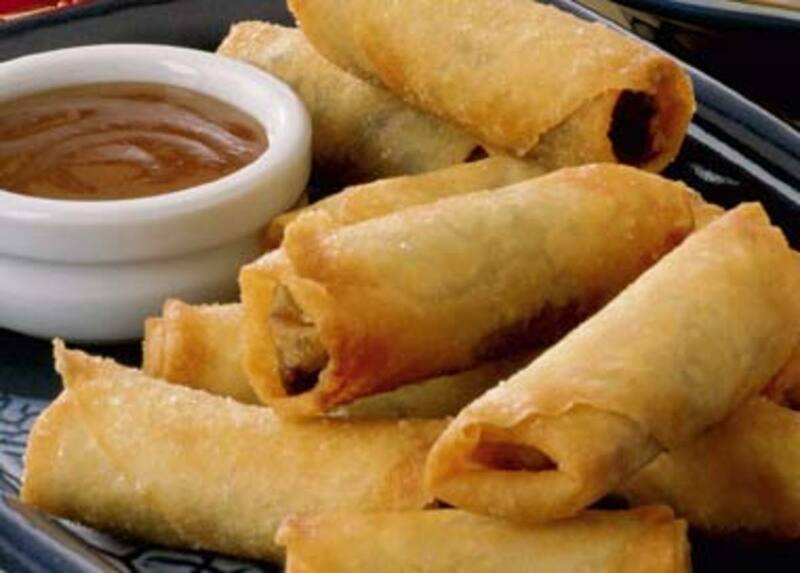 Try this recipe for Fresh Chinese Lumpia. 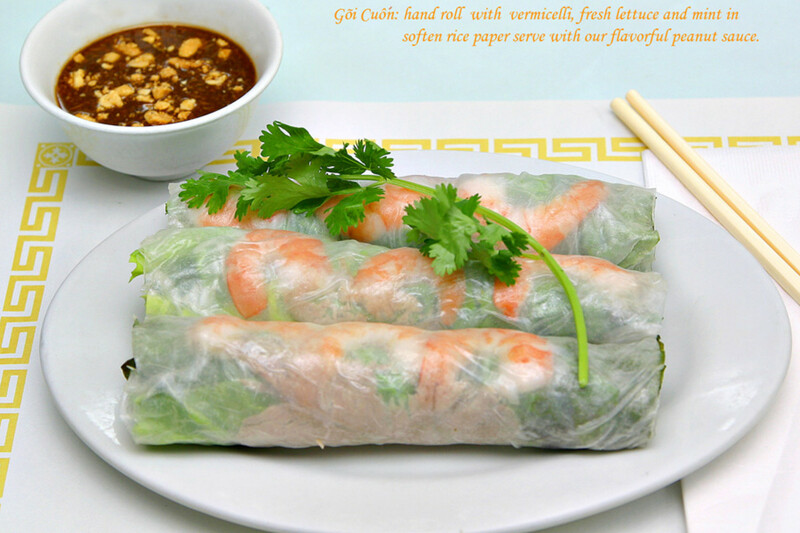 What is Fresh Chinese Lumpia? Fresh Chinese Lumpia, I believe, is a member of the spring roll family. 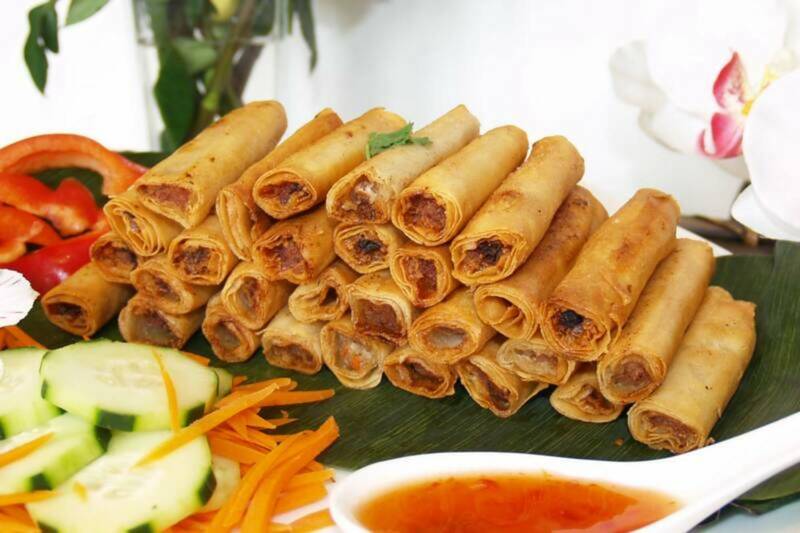 It consists of many different ingredients, mostly vegetables, finely chopped or grated and cooked together to form the main filling of the lumpia, which is then wrapped in lumpia wrapper. Other fillings include lettuce, scrambled eggs, bean sprouts, celery, peanuts, and catsup laid out on separate platters (except the catsup which stays in its bottle). What makes it fun to eat is that you can create your own lumpia and experiment with different filling proportions until you get the one that you like. 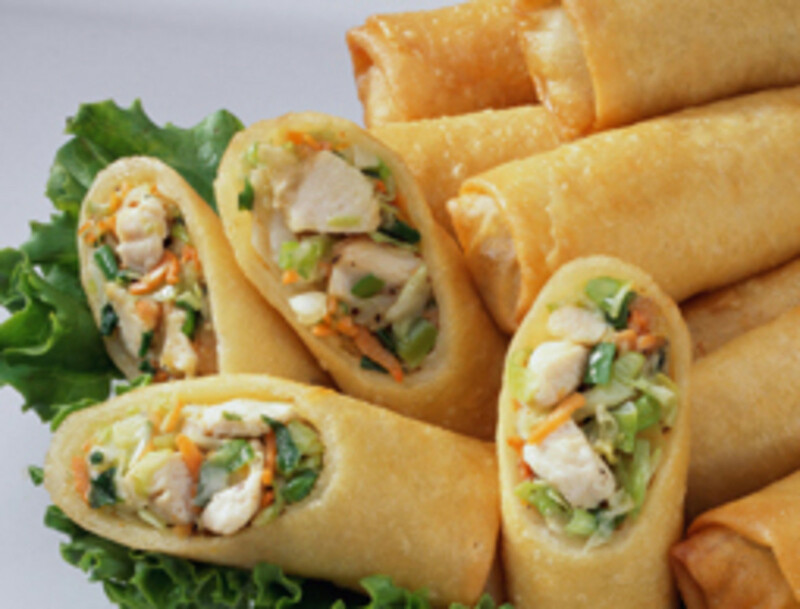 Fresh Chinese Lumpia has many variations. You can use different vegetables or cut them in different ways, you can vary the proportions of each ingredient like maybe add more or less meat, and you can use different types of lumpia wrapper to come up with different tastes and textures. But I will share with you our family's take on this hearty meal. What's even nicer is that it has also become family bonding time as everybody chips in to help in the preparation. This is how we prepare and enjoy Fresh Chinese Lumpia. Let's start with the things that you will need. I will divide the ingredients into two categories: Main Ingredients and Other Ingredients. You will also need a large wok or pan to cook the vegetable-meat mixture in, a heavy duty cheese grater, and a nice sharp chopping knife. The amount you use of each ingredient really depends on you. If you like tokwa then by all means add more tokwa. Similarly, you can scrap any ingredient you don't like. TIP FOR STORING LUMPIA WRAPPERS: Keep them wrapped in banana leaves or a clean moist cloth. 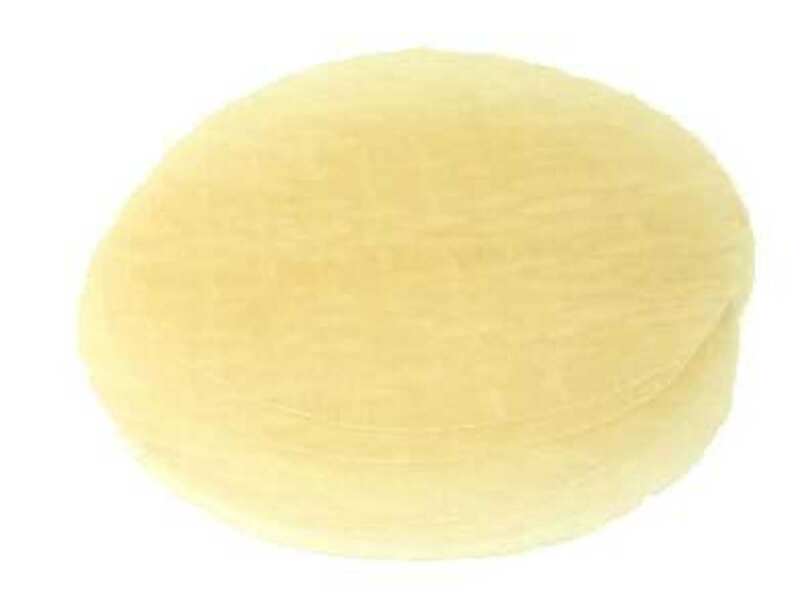 This will keep them from drying out and becoming brittle. 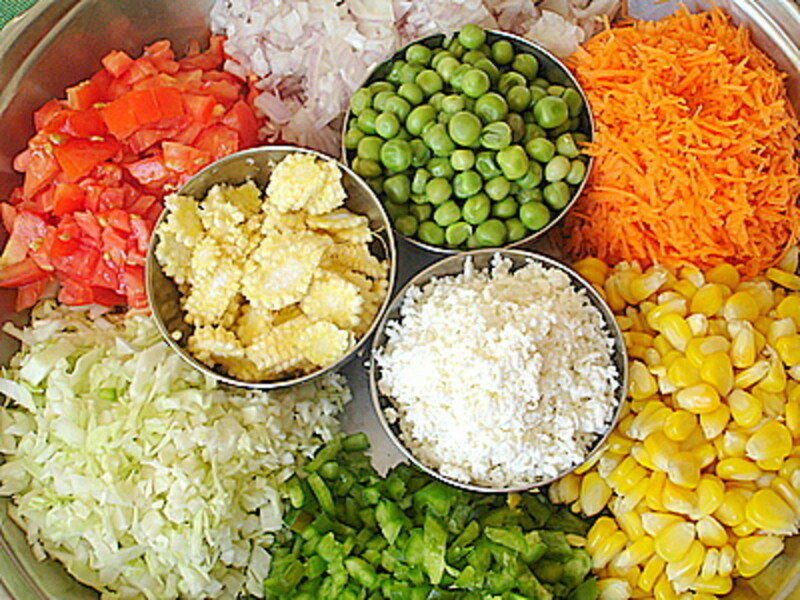 Thoroughly wash and finely chop, shred, or grate tokwa, ubod, cabbage, lettuce, string beans, snow peas, and carrots. You may want to ask for a family member's or spouse's help here as this could take some time. The tokwa and vegetables may be mixed together in one big bowl after chopping. Sauté the garlic in a little oil, then cook the ground pork. Add some salt, soy sauce, and ground black pepper. Once the ground pork is browned, add all the tokwa and vegetables. Add a little more salt, soy sauce, and black pepper. Stir together thoroughly. Cook it until the vegetables become soft and the whole mixture develops a unified color - brown with spots of color from the tokwa, green vegetables, and carrots. If you don't have a large wok or pan to fit all the ingredients, you can also cook the vegetables in stages. For example, sauté some garlic and ground pork, then add just the cabbage and lettuce and seasoning. Set aside. Sauté another batch of garlic and ground pork and then add just the string beans and snow peas and some more seasoning. Continue until all the main ingredients have been cooked. 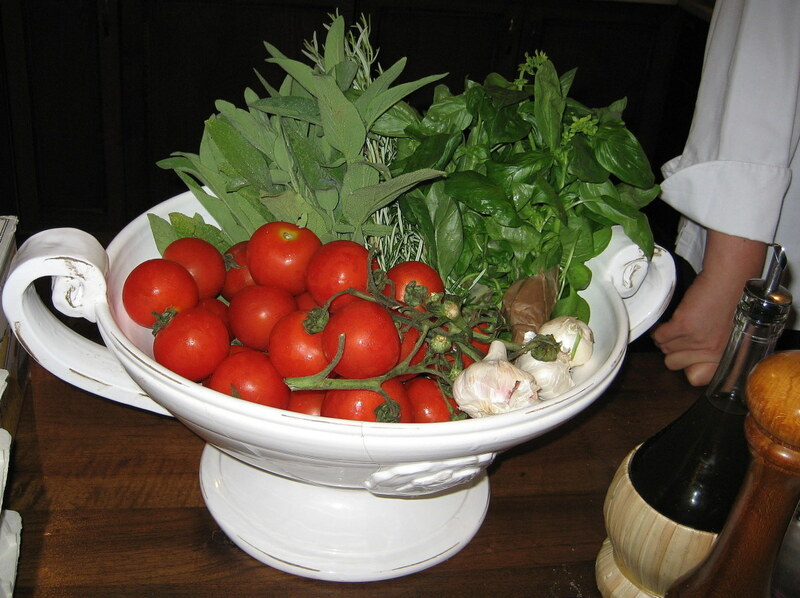 Then place everything in a large pot and mixed together thoroughly. Eggs. Scramble the eggs then slice them into short strips when they are cooked. Mung Bean Sprouts. Sauté the mung bean sprouts in garlic and oil. Add a little salt and soy sauce to season. Peanuts. Grind the peanuts until they become powdery, then throw in a little sugar. Mix thoroughly. Lettuce. Wash and thoroughly drain the lettuce, peeling them off the head. 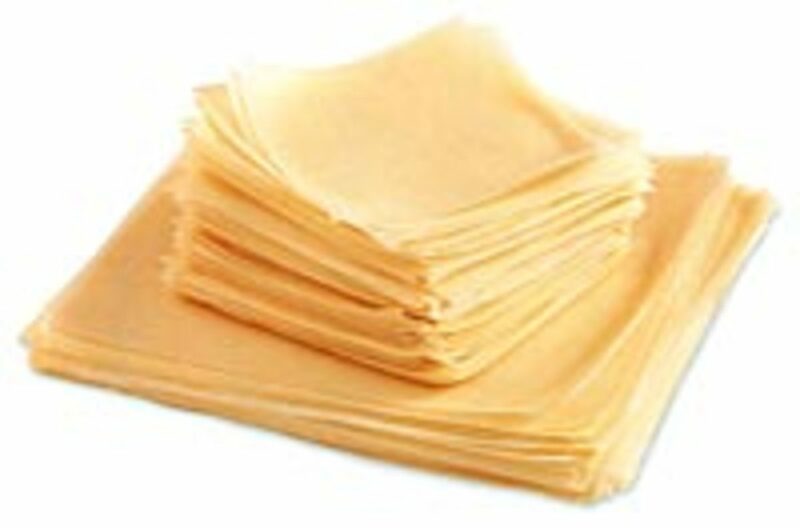 Place them on a clean washcloth or paper towel to dry. Lumpia Wrapper. Peel off the lumpia wrappers one by one and fold each into quarters. This will make eating less of a hassle later on. Fresh Celery. Wash and set aside to dry. Place the meat-tokwa-vegetable mixture in a large serving pot in the middle of the dining table. Arrange the scrambled eggs, mung bean sprouts, peanuts, lettuce, lumpia wrappers, celery, and catsup around the center, each topping on its own plate or bowl (and the catsup in its bottle). 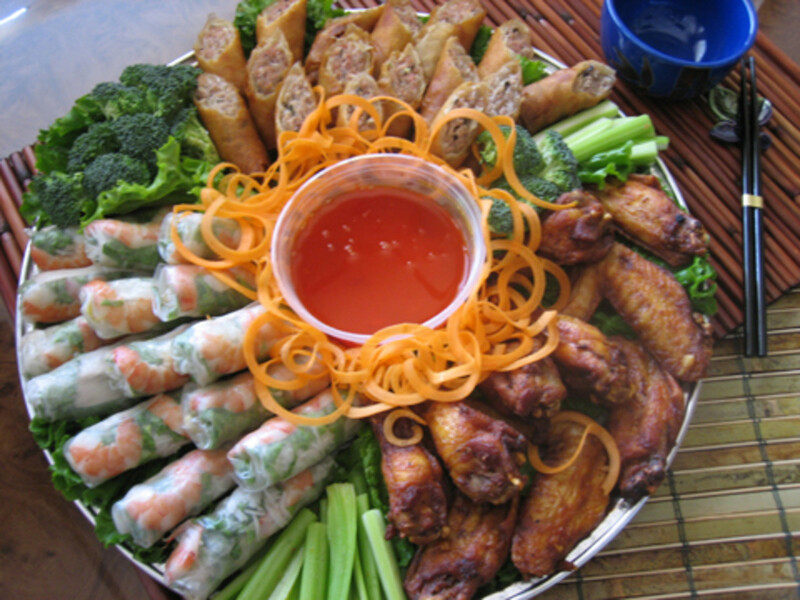 Place a serving spoon in each plate except for the lettuce and lumpia wrappers. Set the table with the appropriate number of plates. Make sure the plates are bigger or at least the same size as your lumpia wrapper so you won't have any difficulty wrapping your Fresh Chinese Lumpia later on. Tell everyone to wash their hands! Now comes the fun part. Gather everyone at the dinner table. Step 1. 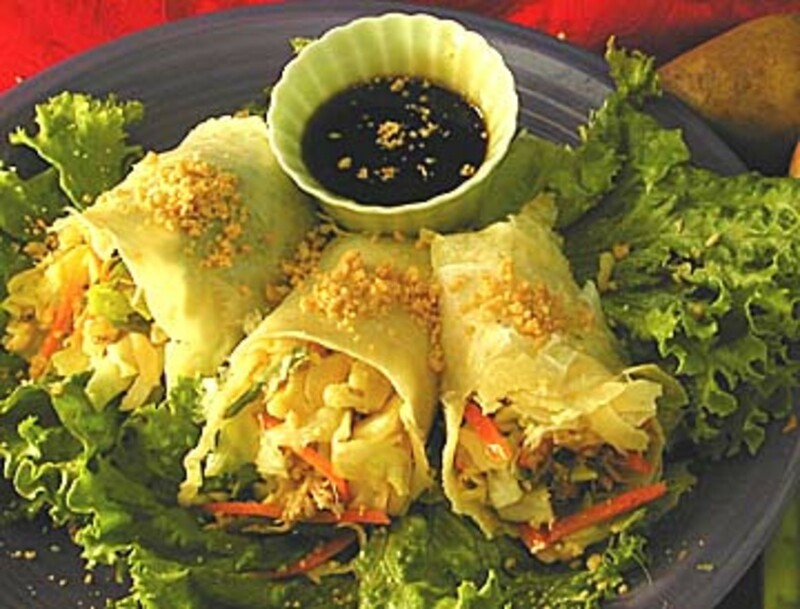 Unfold a lumpia wrapper and place it flat on top of your plate. Step 2. Line the lumpia wrapper with some lettuce. Step 3. 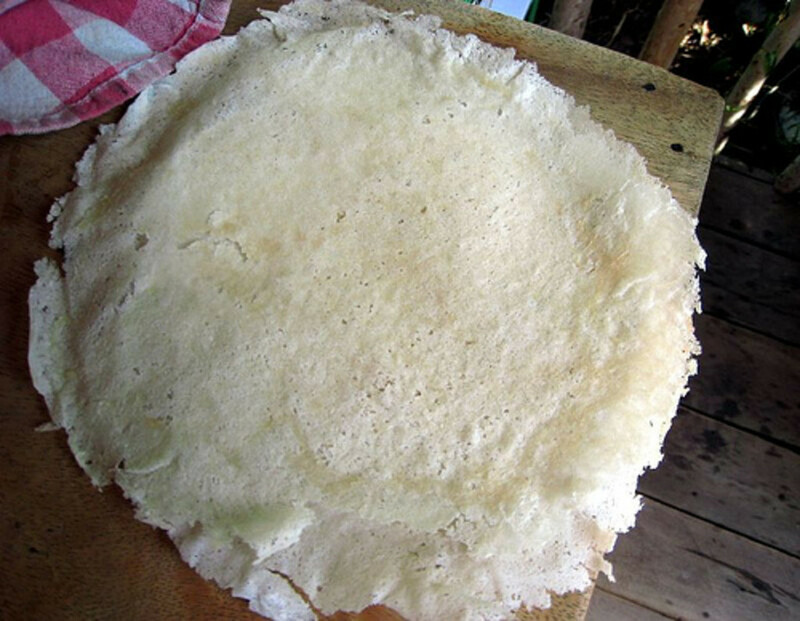 Place about a tablespoon or two of the meat-tokwa-vegetable mixture on top of the lettuce on one side of the lumpia wrapper. Step 4. Top the lettuce with some scrambled eggs and mung bean sprouts then sprinkle some of the peanuts. If you don't like any of the toppings, just don't put any on yours. (Some of my friends claim it's the peanuts that bring out the flavor of the dish, but I don't like peanuts so I usually skip this part.) Pull off a few celery leaves and garnish your creation. Step 5. Pour a generous amount of tomato catsup on top of everything. Wrap it up and take a big bite! SOME TIPS: Don't put too much filling into one wrapper, it'll tear when you wrap your lumpia up. 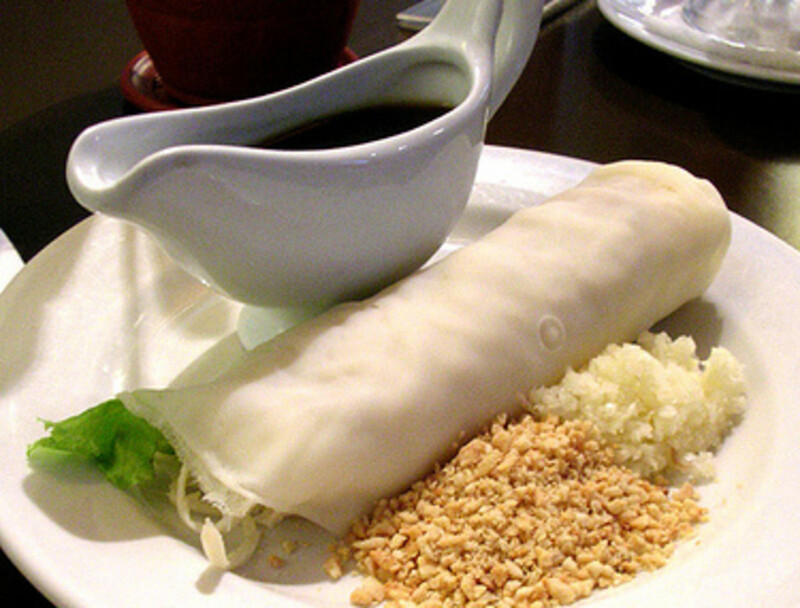 Wrapping a fresh lumpia follows the same techniques as wrapping a spring roll for frying, but you can also leave one end open so you can see what's inside. 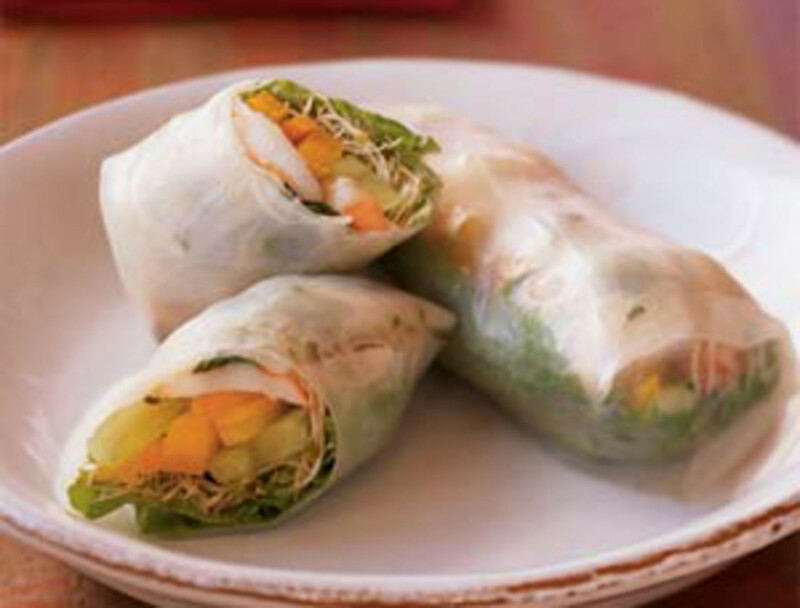 And don't worry if you run out of lumpia wrapper, just put the toppings on a blade of lettuce and munch away! 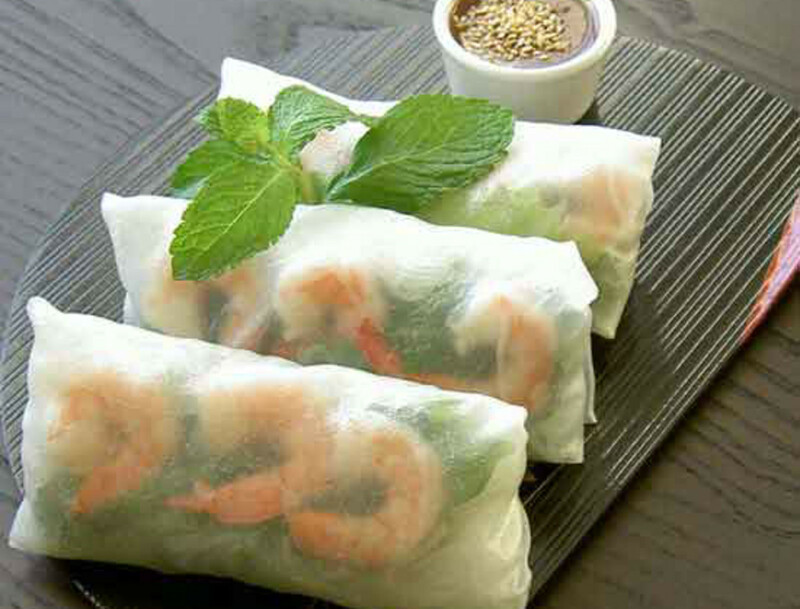 Spring rolls may be served fresh or deep fried, can be filled with a wide variety of meats and/or vegetables, and wrapped using different kinds of lumpia wrappers. An easy-to-make, distinctly Filipino dish. 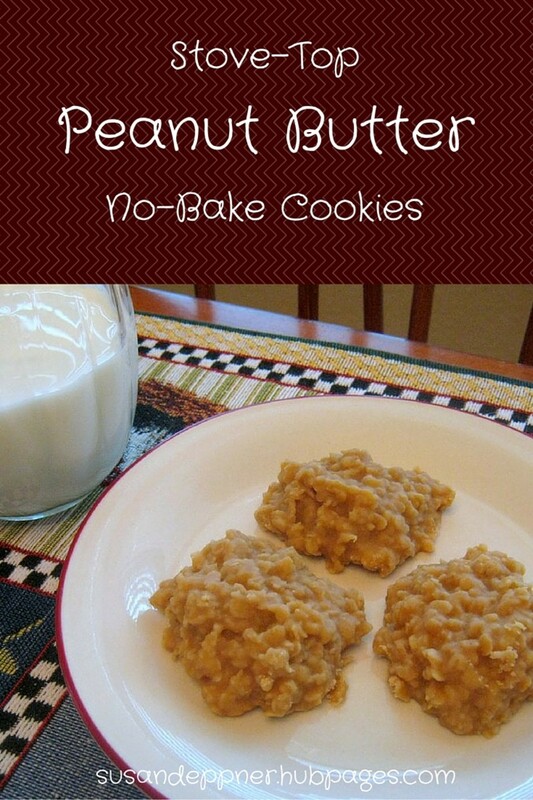 Peanut Butter No Bake Cookies Recipe - On Top of the Stove! 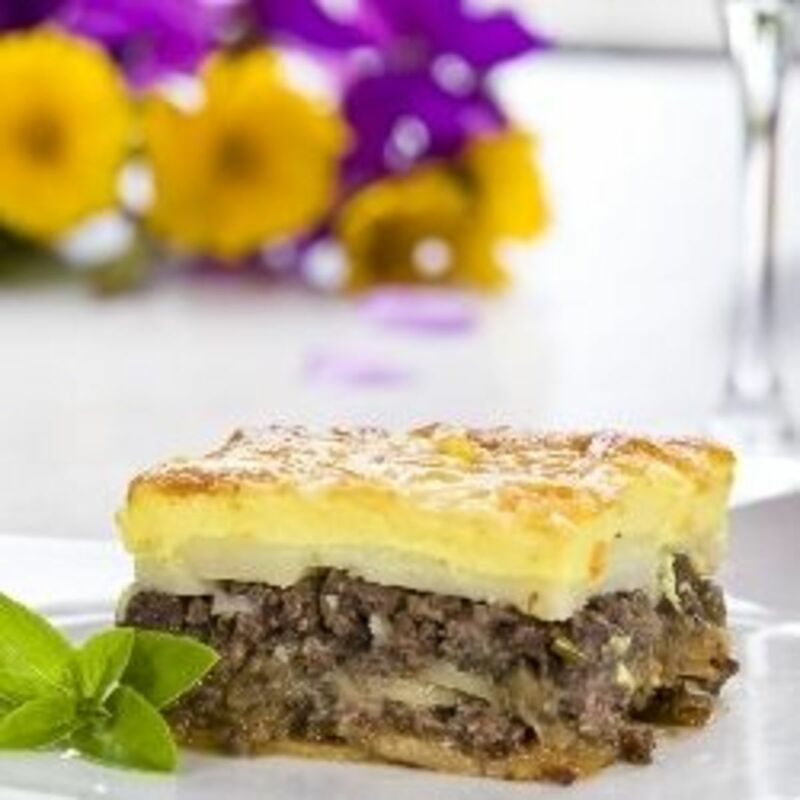 The Best Greek Moussaka Recipe Ever! 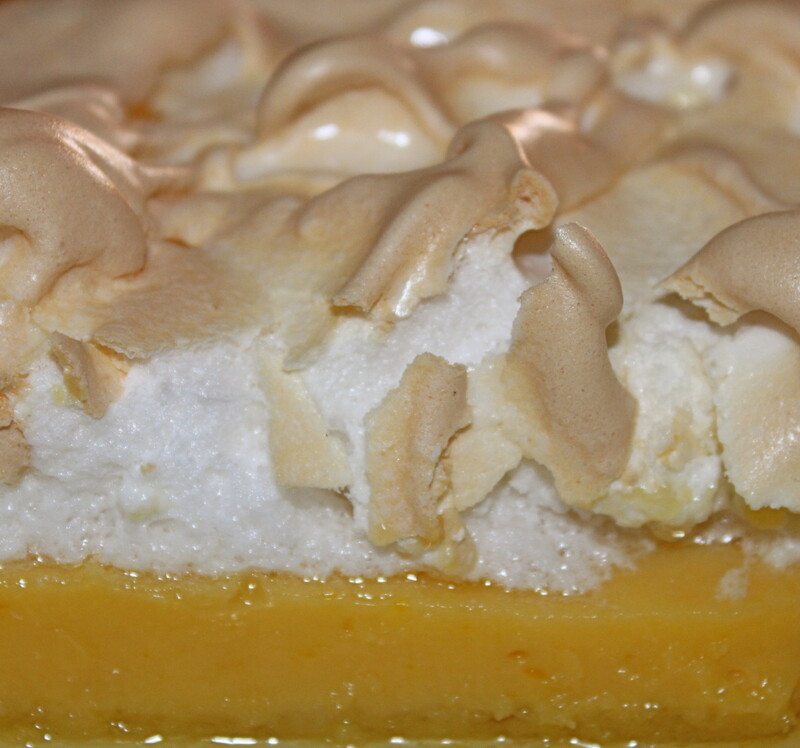 wow this looks so good and easy to prepare, thanks for sharing this wonderful recipe. Lumpia is my favorite foo, it's match eat this food with chilli. 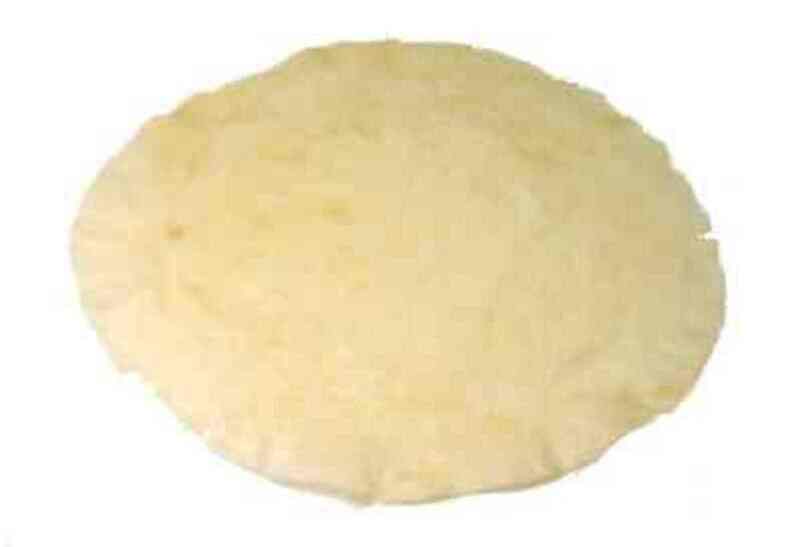 I don't know that pilipine people had eaten this also. Yummy! Now I'm hungry...thanks for the recipe. That's a good idea, substituting pork with fish. We might try that one day. :-) What kind of fish does your mom use, tuna? 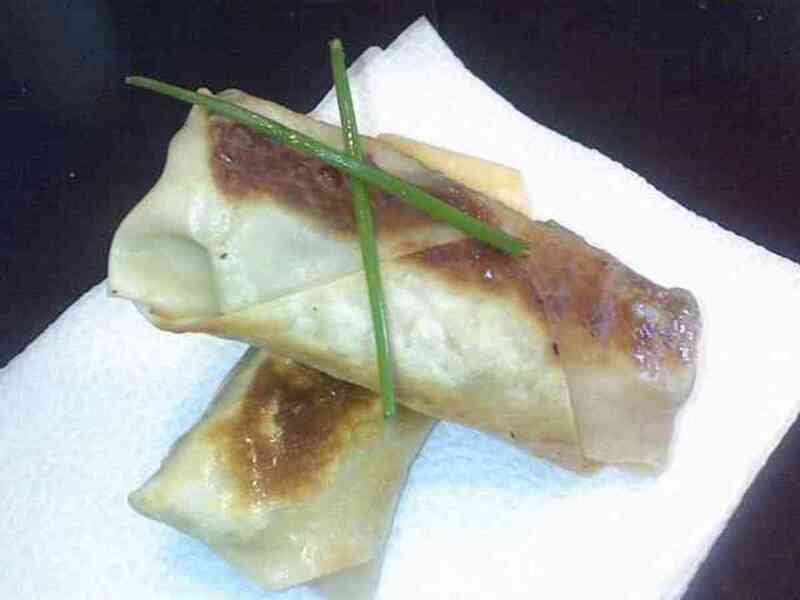 I like lumpiang sariwa especially with home made egg wrappers and with peanuts &quot;budbud&quot;. 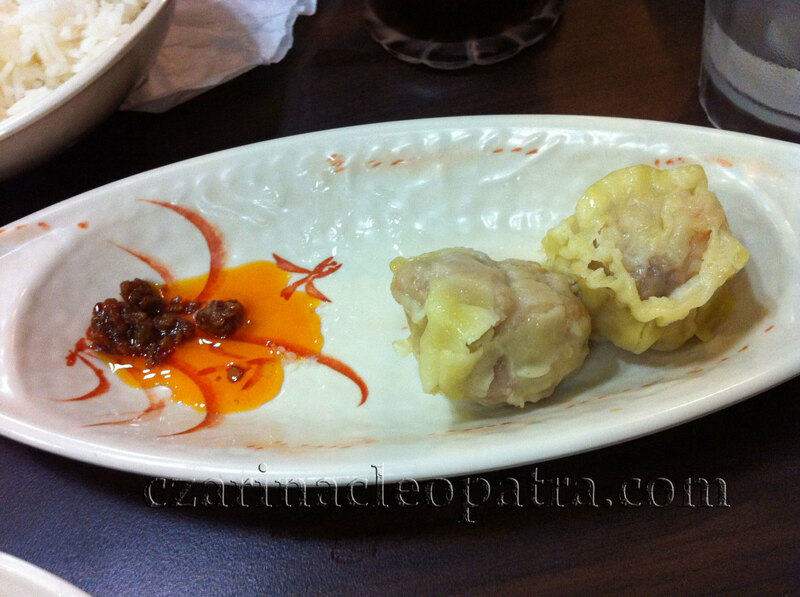 i also remember my Mum used to make lumpia but she used fish meat instead of meat styled like lumpiang shanghai. Thanks for the recipe...will bookmarked it , for future reference.